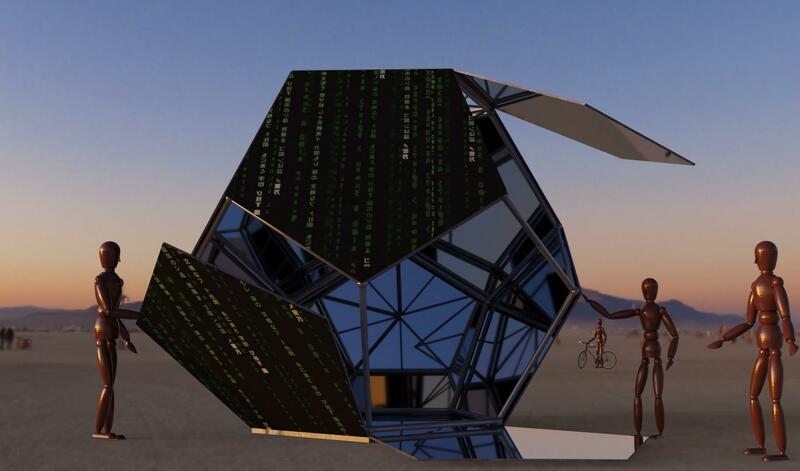 Unfolding Humanity is the name of the massive 12' tall and 30' wide interactive metal sculpture. The contrast between the Matrix exterior and the Mirrored interior calls attention to the tension between technology and humanity, captivating the minds of visitors. 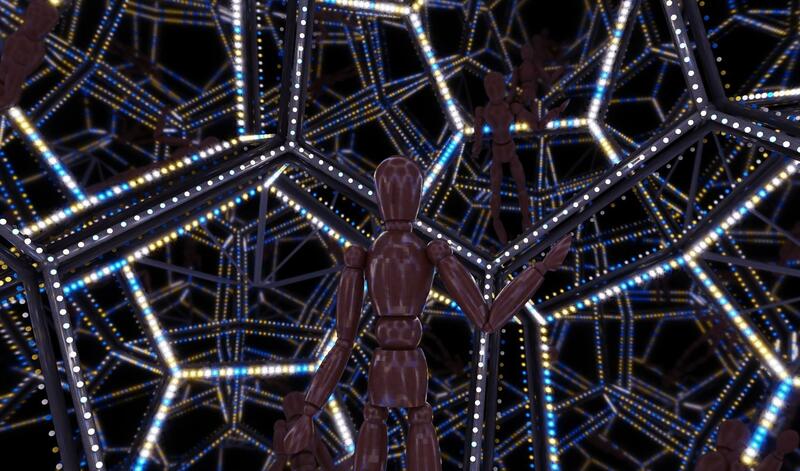 Over 17,000 programmable LEDs will illuminate the artwork inside and out. 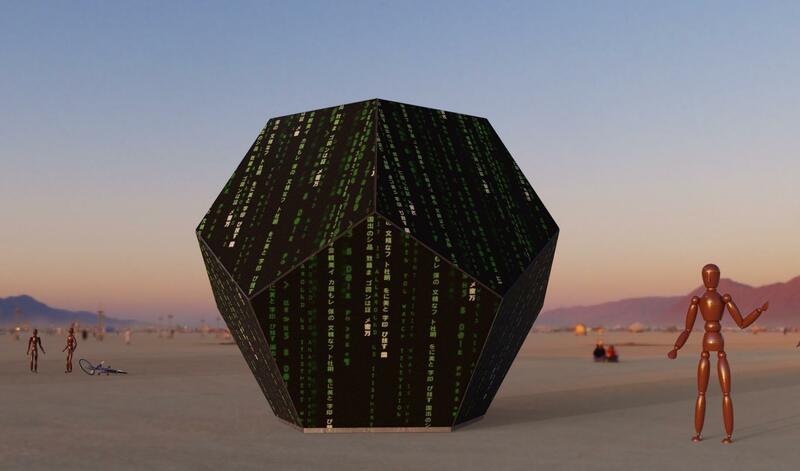 The sculpture is a dodecahedron with pentagonal walls that unfolds under human power, an engineered design that alludes to Albrecht Dürer's 500-year-old unsolved problem on unfolding polyhedra. When closed, the reflective interior of the sculpture will make visitors feel as though they are at the center of the universe. 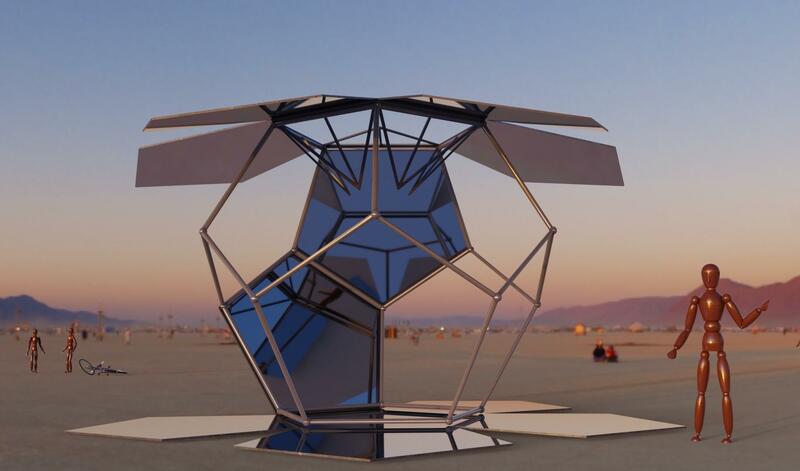 Influenced by revolutionary satellite data, the closed sculpture with reflective mirrors gives visitors an opportunity to be at the center of a small universe where light folds back upon itself. We need your help to make this project a reality. Thank you! We have been fortunate to receive support from the San Diego Collaborative Arts Project (SDCAP) and the University of San Diego (USD) Applied Mathematics program. But this only takes us part way to make this artwork possible. Every penny of these donations goes toward the building, the transportation, and the display costs involved with this artwork. Our vision is to promote the volunteers and artists in San Diego at a national level, through the integration of mathematics and the arts. We have been fortunate to receive support from the San Diego Collaborative Arts Project (SDCAP) and the University of San Diego (USD). But this only takes us part way to make this artwork possible.